Ring mats have a specially designed anti slip construction with large cylindrical holes and the underside is constructed with a pincushion effect that allows spills to pass through and quickly away from the mat promoting safe, dry traction. 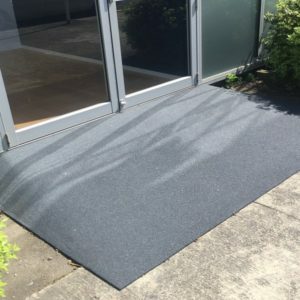 Great for anti fatigue matting at work stations, in wet areas and as entrance mats to remove dirt and debris from footwear. 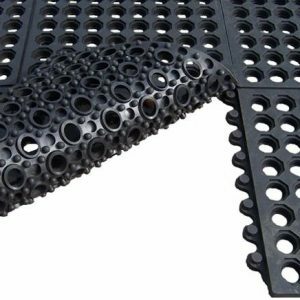 For playground use the mats can be laid and the grass will still grow through the holes in the mats. Herringbone Pit Mats – The ring mat is ideal for use in the Pit and the anti fatigue properties help with sore legs and back pain. These mats have been endorsed by ACC for this purpose. 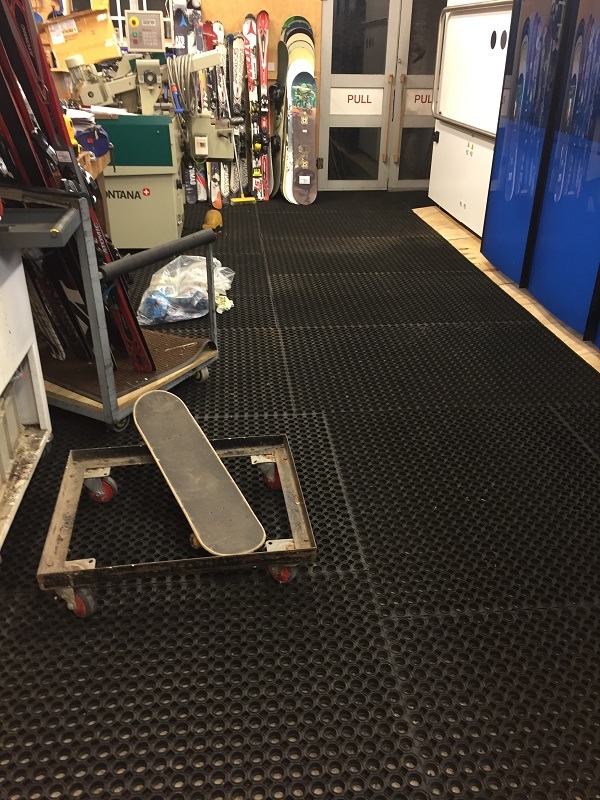 The mats are laid tight and can be cut to size so there is no movement in the matting. 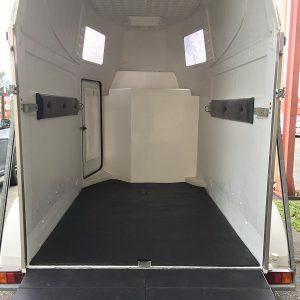 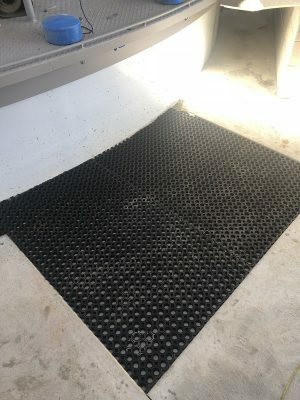 The holes allow you to wash down without removing the matting. 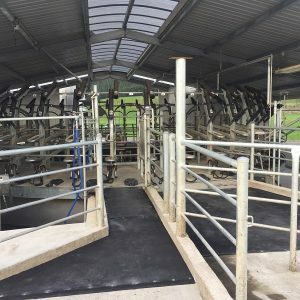 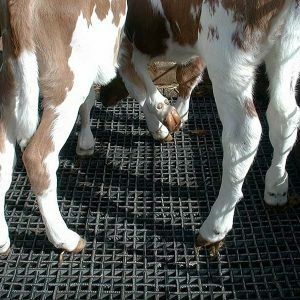 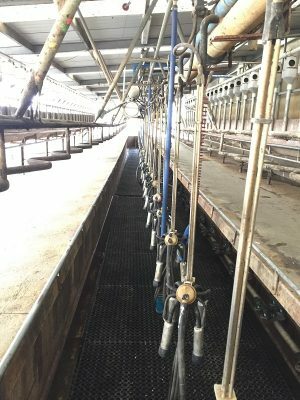 Our standard 1500 x 1000 x 22mm ring mats are extremely versatile – from entrance mats to remove dirt and debris to cow shed pit matting – the possibilities are endless. 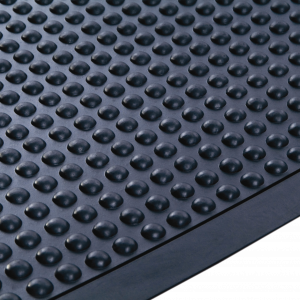 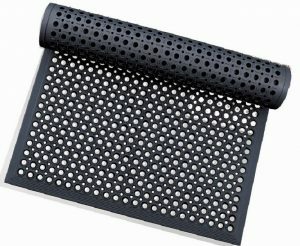 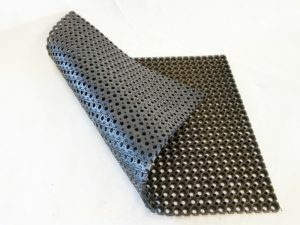 Tapered Ring Mat 1500 x 900 x 14mm this black ring mat has an anti stumble bevelled edge and is ideal for anti fatigue non slip matting both inside and outside.